We are offering Welding Wire Brush to our clients. We provide a very fine quality Welding Cleaning Brush. The Welding Cleaning Brush manufactured and supplied by us is available in various sizes. 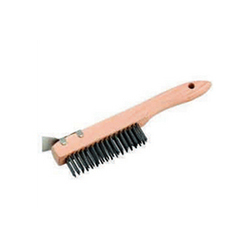 The Welding Cleaning Brush is manufactured using S.S./M.S./Brass with Wooden and Plastic Handle. 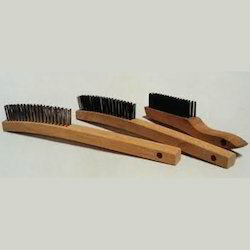 Our company is a leading Manufacturer and Supplier of Welding Cleaning Brush in Pune, Maharashtra.